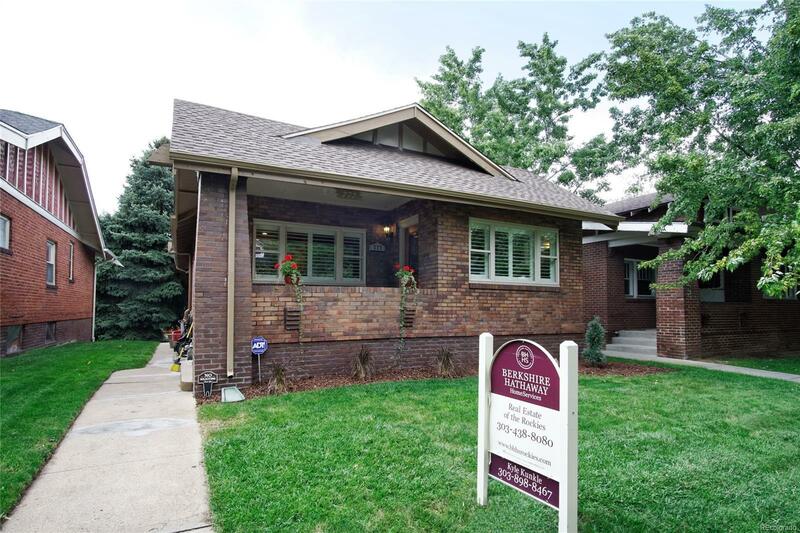 Fantastic Wash Park Bungalow with well built addition that flows naturally with the character of the house. Beautifully updated with granite countertops, stainless steel appliances, custom stone fireplace with leaded glass windows on either side, wine fridge/bar area, and custom built window shutters. 3 spacious bedrooms upstairs with 2 additional bedrooms in newly finished basement. Large media room in the walk out basement flows naturally into large yard. Yard has stamped concrete patio, gas fireplace, perfect for entertaining! Perfect location, 2 short blocks from the park without the noise or crowded streets. Easy walk to coffee shop, Whole Foods and bars and restaurants.